An exceptional product is forged in the journey which leads to a great adventure. The history of KOLUMBUS is closely linked to the trips overseas and the perseverance of a man to discover new routes which would facilitate obtaining spices from the Far East. The capture of Constantinople by the Ottomans in 1453 brought a change in geopolitical dominance and increased the commercial value between Europe and the eastern regions, so finding new alternatives was imperative. Convinced that Orient could be reached sailing the Atlantic towards the east –an unknown route until then– our protagonist, the admiral Christoph Kolumbus and his crew, accepted the challenge and set sail from Puerto Palos the 3rd of August of 1492. They spotted the isle of Guanahani, which now forms part of the Bahamas, the 12th of October of the same year. The booty was fruitful: corn, pumpkin, cocoa, pepper and of course, tobacco, which Kolumbus discovered two weeks after his arrival in the continent, on the 28th of October, in Cuba. According to documents of the time, Kolumbus’ attention was drawn towards the “rolled up dried leaves which formed a blue and aromatic smoke” which the indigenous carried on their lips. The plant formed part of the routine of the natives, not only of their social life but as a remedy for all ills. Kolumbus soon discovered his new passion and found a companion in the cigar which empowered him when dispatching with his subordinates, when directing the purposes of his crew on board of the Santa Maria and eased his stomach after enjoying local delicacies. After tasting the excellences of these fragrant leaves, Christoph Kolumbus took a cargo back to Spain. 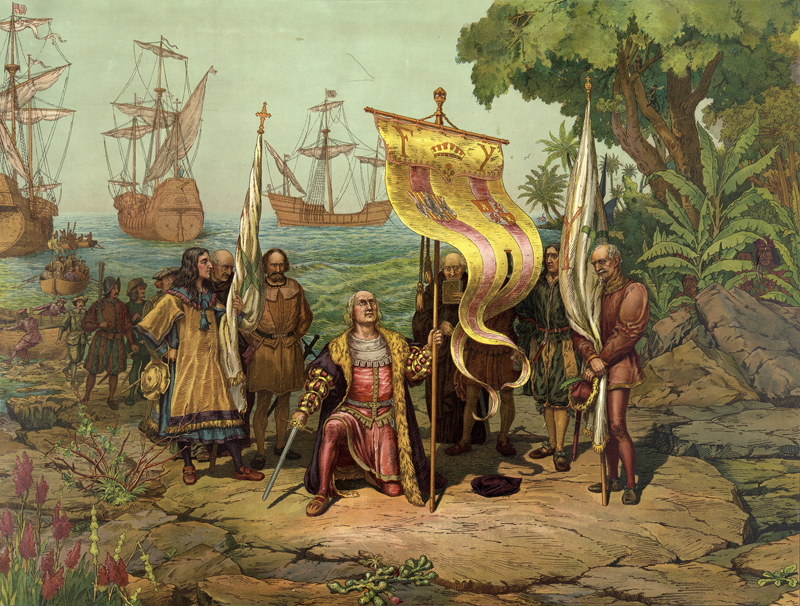 One of his stops in his travels to the New World was the Canary Islands and it was in the island of La Palma where he scattered tobacco seeds as a form of legacy. The weather, the fertility of the volcanic soil and natural resources did the rest. With this gesture, the production of the cigar of La Palma was born, an unrivalled cigar custodian of the deeds beyond the seas of the visionary admiral. His bravery is depicted in the intense and balanced flavour of the cigars KOLUMBUS.